Lists. Check marks. Sublists. More check marks. That pretty much describes my days. And I'm always in a hurry. I think I've been like that even as a small child--walking early, talking early, and always getting up early so I can get more done each day. After rushing through Safeway as I checked off my family's food list for our Fourth of July at the cabin, I hurried out of the store. In my haste, I hit the door jamb crooked with the broken wheel of the cart, and that was just the shock needed for a case of soda to fall off the bottom of the cart, spraying everything in its path--including me. Annoyed at the delay, I returned to the store where a clerk quickly removed the dripping box. I rushed back down the aisles, grabbed another case, and almost ran to the car. Where I could not find my keys. I looked through my purse twice. Checked my pockets. Looked to see if I'd left them in the suburban. Nothing frustrates me faster than unexpected delays. Nothing. My kids know that when a delay comes up, Mom's temper flares. I've worked on controlling it better over the last few years (and I've seen some improvement), but I still have a long way to go. At times like this, my brain jumps from thought to thought with little rational processing involved. "I'm going to have to retrace my steps through the ENTIRE store to find those." "I have no idea how long this will delay our departure." "Is Brad in court? Can he get me his spare key?" 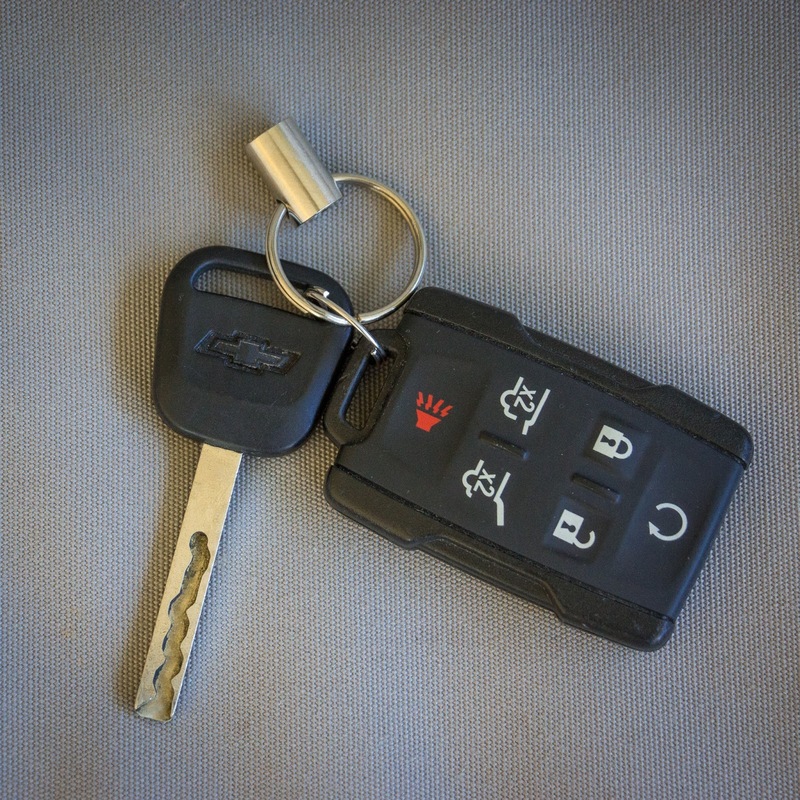 "I wonder how much it costs to replace the fob and key of that car--can't be cheap." All of these thoughts in less time than it took me to walk back into the store from the 114-degree parking lot (where I'd left my overflowing and soda-spewed cart full of perishables) and ask the courtesy clerk if someone had turned in some keys in the last few minutes. I knew what the answer would be, but it didn't hurt to ask. When she responded with the predictable "no," I headed back out to the parking lot, estimating how far behind schedule this delay would make us. I uttered a quick prayer in my heart, "Heavenly Father, I know I ask a lot of dumb stuff, but I need to find these keys. It doesn't have big eternal significance, but it really matters to me. Help me know where in this huge store I should look." And that's when I thought, "Look through the bags in the cart." "Look through the bags in the cart first." I returned to the parking lot where my vegetables were wilting in the asphalt's radiating heat, grabbed a new cart from the corral next to my car, and began moving bags from my original cart to the new one. It only took two bags. In the second bag under the hot dog buns were my keys. They must have fallen out of my purse during the soda escapade. Like most of us, I often don't see God's hand working in my life, helping with little things and smoothing out the annoying bumps in my path. Even I could see it this time. You matter. I see you. I love you. God is aware of us. Some days it may seem otherwise, but on this day, I knew. He knew I was sweating in the Safeway parking lot with a cart full of food for my family to enjoy together in the mountains. And while I could have called Brad or tromped through the entire store again or really lost my cool or . . .
Yeah. God is good. And He loves us. God is good. And he loves us. But I guess that he loves you more than the 84 people that were murdered in France a few days ago. I have prayed to find keys (and a number of other small, seemingly insignificant items) and sure enough, more times than not, I find them, often in the strangest places. God IS good! That was a whopper! I know the frustration well and more than likely, would not have held it together as nicely. Funny thing about those little "Please help me find...." prayers. They work! I lost my daughter's new boyfriend's dog's ID tag and rabies tag in our back yard and looked for hours. Of course...as always....my last resort was to ask for the Lord's help. Found both tags within minutes. When will we ever learn?